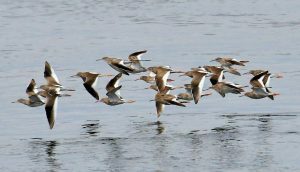 MID-ARGYLL: Arrival of waders today with: at Loch Crinan – 247 Dunlin, 22 Sanderling 16 Ringed Plover, 112 Redshank and 1 Black-tailed Godwit with a further 64 Dunlin and 22 Redshank nearby at the Add Estuary – also 1 Kestrel there. 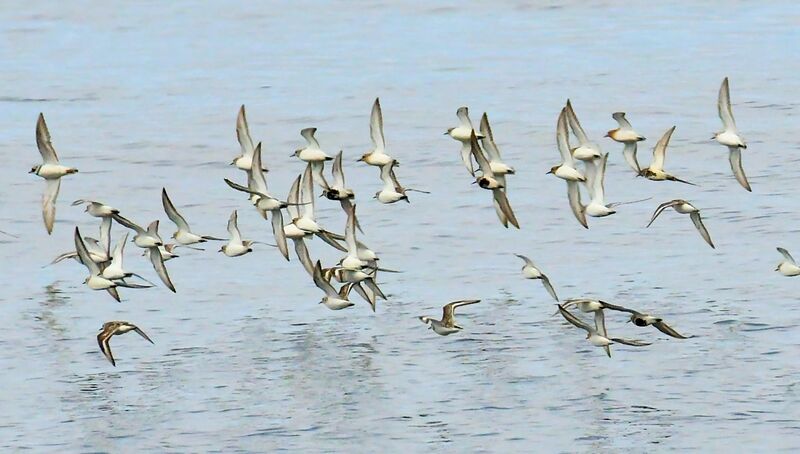 At Loch Gilp – 4 Sanderling, 2 Dunlin, 2 Bar-tailed Godwit and 3 Whimbrel (Jim Dickson). KINTYRE: Superb southerly wader passage at Machrihanish SBO 08:00 -15:00hrs with most going through mid morning in overcast conditions / light drizzle. totals included 27 Oystercatcher, 33 Ringed Plover, 22 Curlew, 18 Black-tailed Godwit, 17 Ruddy Turnstone, 9 Red Knots (adults) 270 Sanderlings (11 flocks / largest ca. 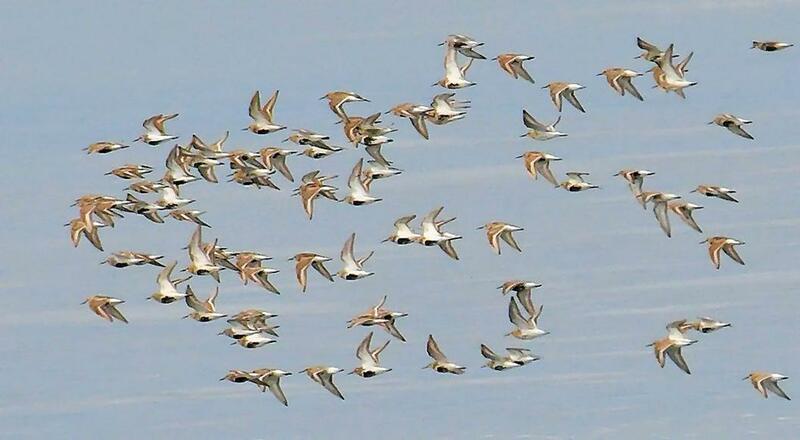 90), 170 Dunlin (8 flocks / largest ca. 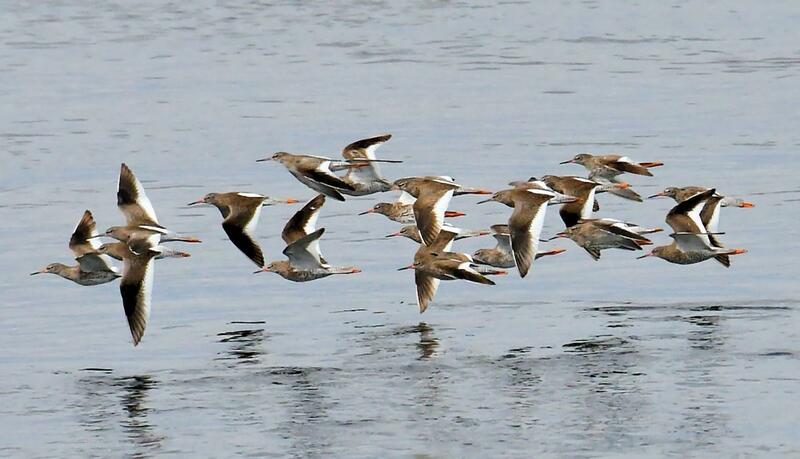 75), 7 Common Sandpiper and 65 Common Redshanks (Eddie Maguire). NORTH ARGYLL: At Ardtur/Loch Laich today – Redshank – 85 (a great count for this location), Osprey, Little Grebe – 3 broods b/1, b/2, b/3), Moorhen – 15 (!) – 4 ads with 4 broods and Water Rail – large chick (David Jardine). 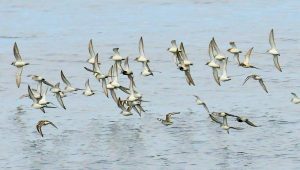 SANDERLING – MSBO, Kintyre 2nd Aug (Eddie Maguire). REDSHANKS – MSBO, Kintyre 2nd Aug (Eddie Maguire). 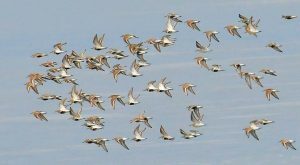 DUNLIN – MSBO, Kintyre 2nd Aug (Eddie Maguire).